A Constitution Bench of Supreme Court of India Today unanimously held that Punjab Termination of Agreement Act, 2004 which terminated the Sutlej-Yamuna Link (SYL) canal water sharing agreement with Haryana and other neighbouring states is unconstitutional. The Centre had said it was not taking sides and was maintaining a neutral stand in the matter in which the court has recorded the stand of other states -- Rajasthan, Himachal Pradesh, Delhi and Jammu and Kashmir. During the hearing of the case –on March 21 this year -- Punjab assembly passed a law (Punjab SYL Canal ( Rehabilitation and Re-Visiting of Proprietary Rights) Bill 2016 to return the land acquired on its side for the construction of SYL canal. The Haryana government then approached the apex court which directed the status quo to maintained. Punjab has earlier said the apex court was not bound to answer the presidential reference made at the instance of the Centre which had no power to resolve the dispute. Appearing for Punjab, senior advocate Ram Jethmalani said the apex court was not bound to answer the Presidential reference on the validity of the Punjab Termination of Agreements, 2004. The Parkash Singh Badal government has submitted that a fresh tribunal be set up to resolve all disputes with other states including Haryana on all aspects, which will also cover the riparian rights and the dwindling flow of water. It had said a fresh tribunal was sought in 2003, about 18 months before the 2004 law that annulled all inter-state pacts, to review the 1981 Longowal Accord on river water-sharing in view of depleting flow and other changed circumstances. The water-sharing agreement was among Punjab, Haryana, Rajasthan, Himachal Pradesh, Delhi and Jammu and Kashmir. Satluj Yamuna link is a canal that is built between river Sutlej and Yamuna to provide water for the farmers of Haryana from the Punjab side. It is about 122 km long and total length is about 495 km which includes the sub-canals. Then prime minister Indira Gandhi laid the foundation when Darbara Singh was the chief minister of Punjab. In Jan 29, 1955 Punjab, PEPSU, Rajasthan, Kashmir sign agreement for water utilisation of Ravi and Beas. In September 1960, India and Pakistan agrees on sharing of water of Satlej , Ravi and Beas and thus signs Indus water treaty. In 1966, Haryana was carved out of Punjab and in 1971, Centre's high level panel recommends to share Punjab's water with Haryana and proposes providing 3,78 MAF to Haryana and 3.07 to Punjab. After few years , Center issues notifications to build Sutlej-Yamuna link canal (SYL) to be constructed which was earlier proposed by Haryana. 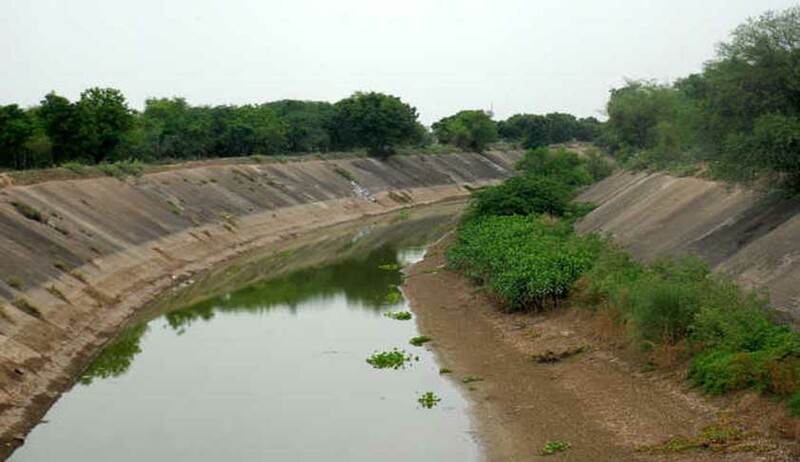 Haryana constructed the canal on their part but Punjab was not ready to construct it .Despite the pressure from the central government and Haryana , construction did not began as it was against the interests of Punjab. In 1985, Prime Minister Rajiv Gandhi and Akali Dal president Sant Harchand Singh Longowal signed "Settlement Accord". Construction began but it was slow and delayed frequently and later there were regular orders from Water Tribunal to to complete canal construction expeditiously. This mater heated up in 2004 when then chief minister Captain Amarinder Singh terminated the contracts for water sharing with the neighboring states . On 21st March 2016, the Punjab Assembly passed the Punjab SYL Canal (Rehabilitation and Re-vesting of Proprietary Rights) Bill 2016, seeking to return land acquired for the canal’s construction to the original owners free of cost.